As you may of may not know, I'm a big fan of Delft pottery (and I have this post to prove it). During my visit in Amsterdam I went to the Rijksmuseum, where I looked at tons of beautiful pottery. I also came across a couple of pieces with white decorations on a blue background. The description informed me that this technique is called Persian blue, hence the name of this post. The nail polish I used as a base color is one of my new Kiko polishes and it's called 335 Ink Blue. 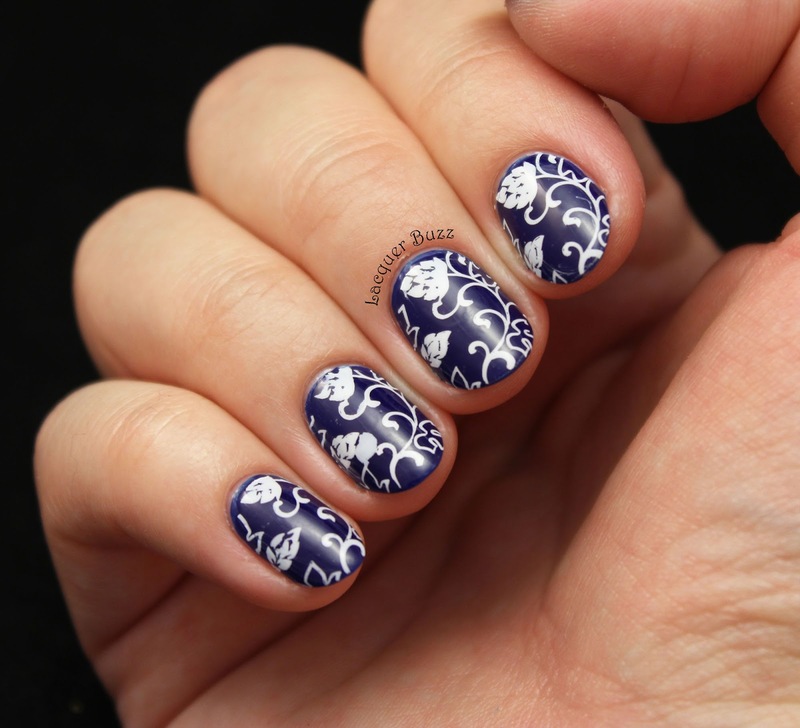 It's an indigo crelly that is just beautiful as a color but isn't that great to apply. The crelly formula means that it's quite sheer, so 3 coats are mandatory to make it opaque. It dries to a very glossy finish, which is always great. Unfortunately it stains like crazy so removal is quite unpleasant. For the nail art I used two new products from the Born Pretty Store. 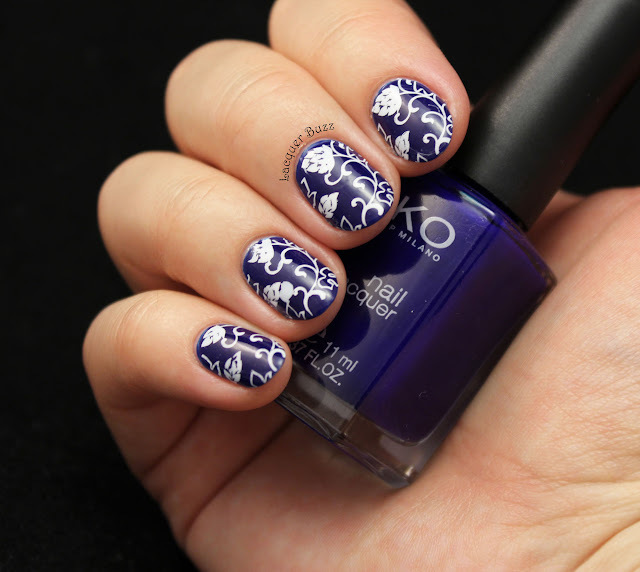 The stamping plate is BP-L024 and the stamping polish comes from a brand called Ya Qin An (you can find it here). 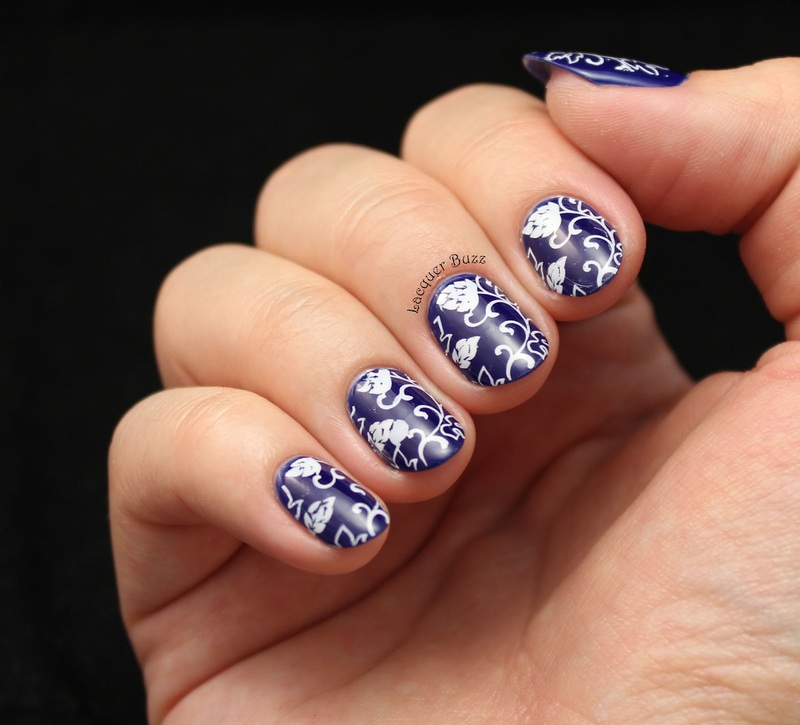 I was quite impressed by how great this stamping polish works, so I'm gonna talk about it in a future post. I'm very happy with how these nails turned out. 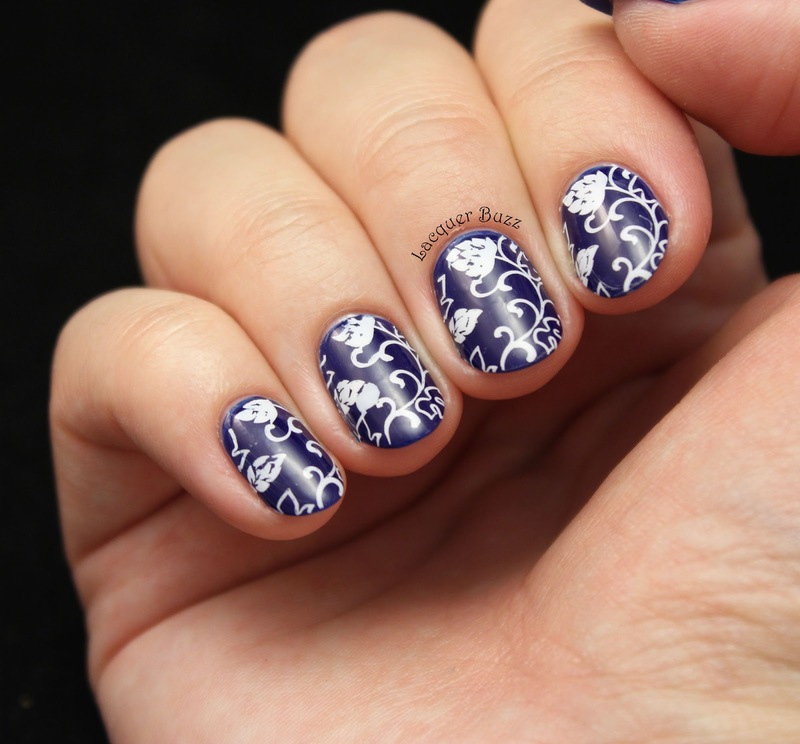 Both the stamping plate and stamping polish are awesome. I just wish the Kiko polish wouldn't stain so badly because it's a gorgeous color. Don't forget that you can use code MFL91 to get 10% off your Born Pretty Store order. And make sure you check out the rest of the Monday Blues in the links below!